Story.Book is an anthology of prize-winning fiction from international creative writing competitions run by Glasgow-based Unbound Press and The Spilling Ink Review during 2011. Authors represented in the anthology live in England, Ireland, Scotland, Canada, Australia and New Zealand. 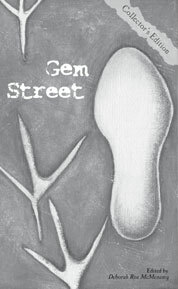 Gem Street is an anthology of short stories that placed in the Leonard A. Koval International Short Story Competition run by Labello Press in 2012. Gem Street authors hail from England, Ireland, France, Spain, Canada and the United States. Gem Street, The Collector’s Edition is the second anthology released by Irish publisher, Labello Press, to showcase the writing of the writers who placed in and were shortlisted for the Leonard A. Koval International Short Story Competition in 2014. Contributors to the anthology write from England, Ireland, Northern Ireland, Canada, the USA, Italy and Australia. A Flash of Fiction contains a selection from submissions to the flash fiction competition run by the Worcestershire Literary Festival Society in 2012. P.W. 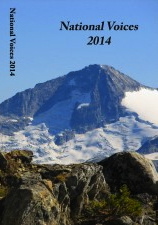 Bridgman’s piece is the only one in the anthology that was penned by an author outside the U.K.
National Voices, 2014 is a collection of fiction, non-fiction and poetry written by members of the Vancouver branch of the Canadian Authors Association.